DoodleCAD™ - Draw Like a Pro Today! DoodleCAD v1.6.16 for MAC is so simple to use that you can be drawing like a professional in minutes. You can create illustrations for web pages, or copy and paste into popular page layout programs and text editors! Please note, we are currently working on bug fixes for a smoother experience with the newest Mac OS. 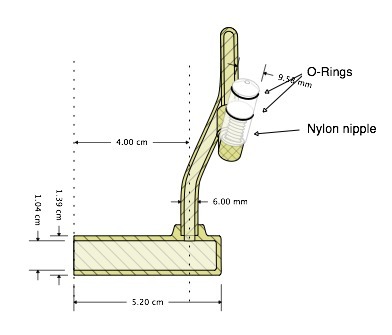 Professionals can benefit from DoodleCAD's drafting tools, ease of use and affordability when doing small CAD projects which include dimensions and angle requirements! 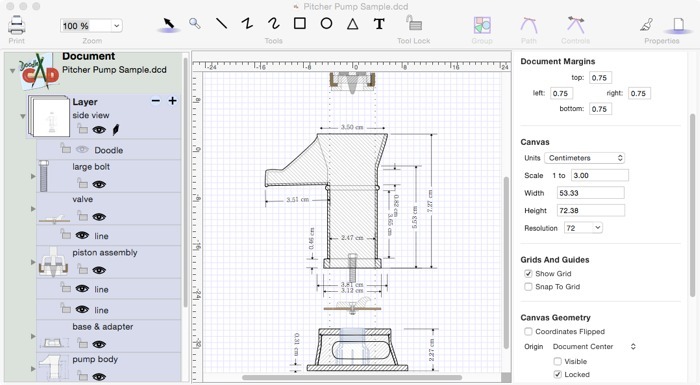 Why pay hundreds of dollars for other applications for Mac when you can use DoodleCAD? iLog Student Driving™ for iPhone® 5 & iPhone 6! Currently under maintenance to work with current versions of the iPhone iOS. 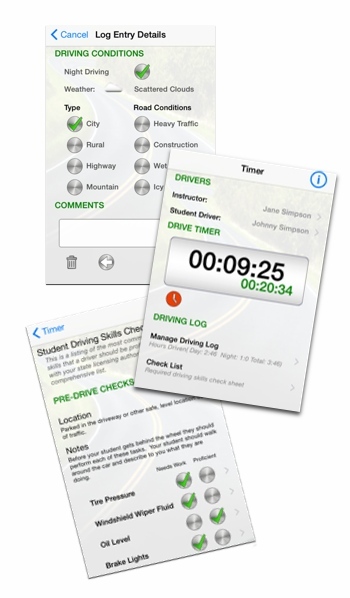 While our teenagers were going through the driver's licensing process, we searched for an iPhone app to log student permit driving times. All fell short, missing key features that we thought were important: Sync logs between multiple iOS devices, easily add missed sessions, track multiple drivers, set default timer times, etc. Our response, we wrote our own iPhone application! iLog Student Driving. At the press of a button, start, stop or pause the timer for the driving practice session, auto sync the information log between your iPhone and iPad (using the same iCloud account)! Add dates, times, notes... Edit info for one driver while timing another and more! When all the hours or practice driving has been completed, simply email or print the driver's permit log and submit it to your local DMV. Sync data between your iPhone and iPad devices using the same iCloud Account! Details will be available at iLogStudentDriving.com soon! Copyright © 2019 DoodleBytes LLC. All rights reserved. Apple, the Apple logo, iPhone, and iWork are trademarks of Apple Inc., registered in the U.S. and other countries. App Store is a service mark of Apple Inc. OpenOffice is a trademark of The Apache Software Foundation. DoodleBytes, DoodleCAD and iLog Student Driving are trademarks of DoodleBytes LLC.